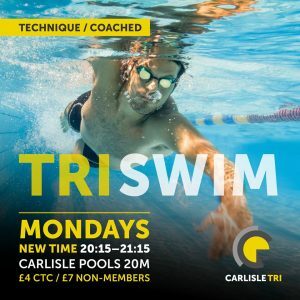 Carlisle Tri Club Championships are open to all members and allow results from race events throughout the year to be included. The table allows one run /swim, two duathlons or aquathlons and three triathlons to be counted. As we are a triathlon club, Duathlon, Aquathlons and run/swim results can be replaced with other triathlons, i.e. a max of six. Your best 6 scores will count. 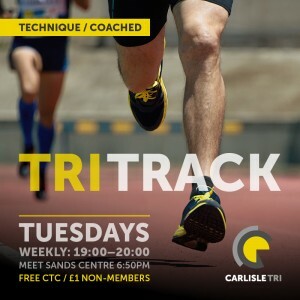 It’s a bit of fun, let’s you see how you are progressing and the winner will receive Triathlete of the Year Award or the Senior Triathlete of the Year (over 50’s Award). If a senior triathlete wins the triathlete of the year then the senior triathlete will roll down to the 2nd senior triathlete. To qualify for the Club Championships the following rules *must be followed without exception. Your results must be sent to results@carlisle-tri.com or brian.allen4@sky.com No other forms of submission will be accepted. Submissions must be made within two weeks of the event date to be entered into the championship. 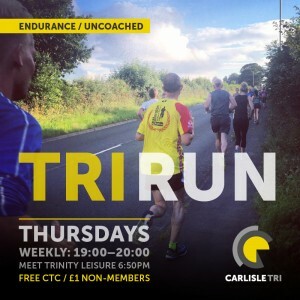 Carlisle Duathlon, Carlisle Tri 10K, Carlisle Tri Sprint Triathlon and the Cumbria Championship events will be entered automatically so no need to email these events. 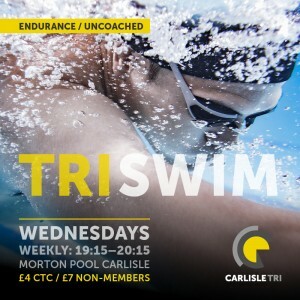 An additional 5 points will be added for each Carlisle Tri Club hosted event and also for the Cumbria Club Championship event (2019 TBA).